I've noticed that there's quite the trend with books involving suicide. Especially being published at the beginning of this year. I've read three of the four books pictured and the fourth is one that I'm really hoping to read soon. I think that they all say something different about suicide and actually, I really like that this topic is one so prevalent in young adult fiction lately. I think that a lot of teenagers struggle and that a lot of teens could benefit from reading and exploring the subject of suicide in a safe manner. Different angles and takes on the subject are always good, I feel, and I'm glad that these books exist. 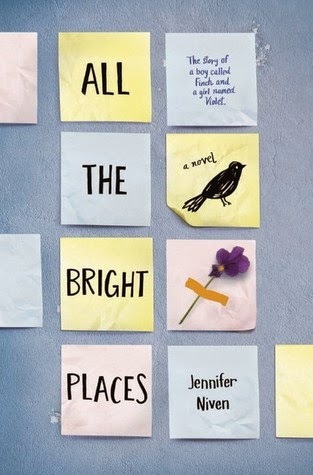 All the Bright Places by Jennifer Niven is an incredibly beautiful book, one that absolutely broke my heart. I was pulled instantly into this story and felt incredibly emotionally invested in the two main characters. This story is told from a dual perspective from both Violet and Finch. And as the story begins both characters are on the top of the school's bell tower considering jumping. One talks the other from jumping and the rest of the story is of their friendship. Published 8 January from Penguin. 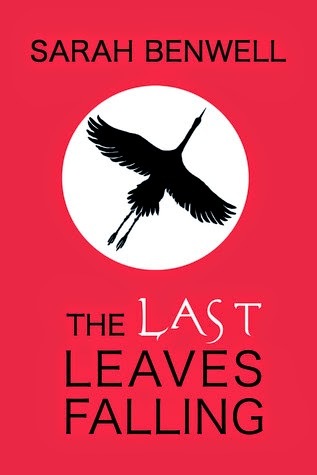 The Last Leaves Falling by Sarah Benwell is my favourite book from this list. It's set in Japan and tells the story of Sora, a teenager who has a motor neurodegenerative disease that means his quality of life is being slowly compromised by his condition. What I loved about this book so much is how it discusses how suicide rates in Japan is much higher than the rest of the world and some of the reasons for that. This book is very much a book about friendship and family and about finding hope and strength in difficult times. 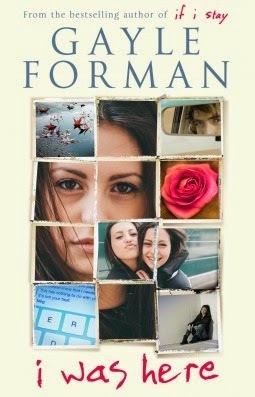 It's a beautifully written debut book and I very highly recommend it. Published 29 January from Random House. 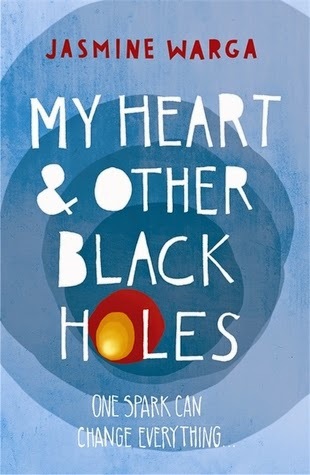 My Heart and Other Black Holes by Jasmine Varga is the most recent book I've read being published early this year concerning suicide. This book was sent to me unsolicited so I didn't know that's what it was about when I sat down to read it. I was mostly just attracted to the unusual title and interesting cover. But this story is one of a suicide pact between two teenagers who meet via another suicide support website. They set a date in a month's time but then spend that month getting to know each other and finding out each other's stories and what led them both to wanting to commit suicide. It was quite a sweet book and while I wanted the ending to be slightly longer, I did really enjoy the story, the characters and the message portrayed in this book. Published 10 February by Hodder. Other books involving suicide that you might want to look out for: This Song Will Save Your Life by Leila Sales, Undone by Cat Clarke, Kite Spirit by Sita Brahmachari, Saving June by Hannah Harrington and Fall For Anything by Courtney Summers. What do you think about books involving suicide? As we're talking YA rather than teens, I'd also suggest Long Way Down by Nick Hornby - from your synopsis above I think it has similarities with All The Bright Places - and Matt Haig's The Humans. Good post. I loved All the bright places. That was so wonderfully done. I was crying when I finished it at 2am. Ha. I agree with you about I was here. I just finished that one this week. Yes, it handled the optic of suicide in a very real way. But I thought it lacked the emotional depth of If I Stay.